Hall of the Mountain King: Review: Lynyrd Skynyrd, "God & Guns"
As the original members of Lynyrd Skynyrd continue to dwindle, one wonders how long the venerable Southern rock machine can continue. If their latest record, "God & Guns," is any indication, quite a while longer. With guitarist Gary Rossington as the only original member left in the band, Lynyrd Skynyrd marches on and manages to release one of the better records of their second incarnation along the way. 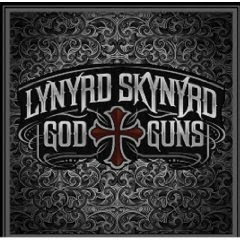 "God & Guns" does have the more mainstream sound that has marked most of the band's records since the reformation in the late 1980s, but there's also a harder rocking edge to some of the songs and more influence of the eponymous country side project from singer Johnny Van Zant's and brother Donnie Van Zant of .38 Special fame. The record opens big with the hard-rocking anthem "Still Unbroken," a song that was shelved years ago and resurrected for this record. It's actually one of the strongest numbers the band has done in years and has the potential to produce another big hit for them. The country influence comes in on the second track, "Simple Life," co-written by Nashville songwriter Jeffrey Steele. Driven by its chorus hook, the lyrics reminisce about days gone by and are sure to appeal to the band's fan base. A strange contributer pops up on the third track, "A Little Thing Called You." John 5, guitarist with Marilyn Manson and Rob Zombie, makes his first appearance as a writer on the track. Not surprisingly, it's more of a hard rock number, but features an undeniable melody and groove that recalls classic Skynyrd numbers. John 5 also co-wrote several other songs, including my personal favorite, the creepy "Floyd," which tells the story of a weird old guy that lives back in the swamp. I wrote about the tune a while back, so I won't go into much detail here, but it's an outstanding song. The guitarist also co-wrote three other songs on the record with mixed results. The self-aggrandizing "Skynyrd Nation" is forgettable on a record of otherwise strong songs. 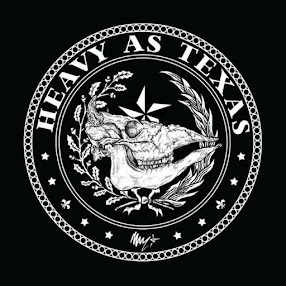 The funky riffing of "Stormy" is another in a string of strong hard rockers here. The most surprising contribution from John 5, though, may be on album closer "Gifted Hands," a gospel-flavored ballad that pays tribute to pianist Billy Powell. The slower songs are also a mixed bag. The message of "Southern Ways," like "Simple Life," is sure to appeal to the band's fans, while "Unwrite that Song" seems to put a little drag on the album. Finally, there are the expected blue collar anthems "That Ain't My America" and "God & Guns." You can't say that Lynyrd Skynyrd doesn't know its audience, and these two tracks play right to it. "That Ain't My America" has a big, memorable chorus to back up the patriotic message of the song. The title track opens in a country mode for the first two-thirds before kicking in with a huge hard rock groove at the end that you almost wish had come in earlier. Despite the tragedies and adversities the band has faced over the years, Lynyrd Skynyrd is still going strong in 2009. There's plenty here that will appeal to long-time fans of the band, as well as a few surprises that might catch the attention of folks who think they don't like Southern rock. It may be their best record since the reformation. Get "God & Guns" special edition.